IRON MOUNTAIN– The K.I.N.D. Drug Enforcement Team announced Saturday of the arrest of Anthony Curtis of Iron Mountain. 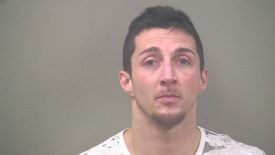 Curtis, 33, was charged with one count of delivery of a controlled substance, schedules 1, 2 and 3, along with one count habitual offender, fourth notice. ABC 10 will update this story as updates are available.